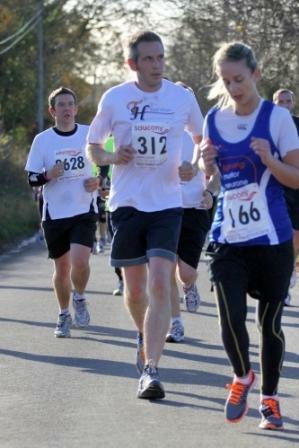 Anglian’s Senior Design Engineer, Matthew Cubitt will be taking part in the Royal Parks Half Marathon. He has written us this guest blog to tell us more about the half marathon and why he is doing it. “I will be running the Royal Parks Half Marathon on 7th October to raise funds for Parkinson’s UK. The Royal Parks Half Marathon is a race through four of London’s Royal Parks, Hyde Park, Kensington Gardens, St James’s Park and Green Park, and past some of London’s most famous landmarks including Buckingham Palace, the London Eye, Houses of Parliament and Royal Albert Hall. I decided to take part in the Royal Parks Half Marathon after my father-in-law passed away earlier in the year. My father-in-law had coped admirably with Parkinson’s and Parkinson’s UK was a great support providing information, friendship and support when he needed it. I am hoping that by the kind donations from friends, colleagues and Anglian I will be able help fund the charity’s work to find a cure and improve life for everyone affected by Parkinson’s. It has been a real challenge to build up my fitness ready for a half marathon. I have been following a 16 week training program, running four times a week. A pulled muscle was a setback in the middle of my training program but I am now hopefully back on track and I am hoping to be able to complete the 13.1 miles in under 2 hours. Any donations would be gratefully received. People can donate through my Virgin Money Giving webpage www.virginmoneygiving.com/matthew_cubitt. Virgin Money Giving is a not for profit organisation and will claim gift aid on a charity’s behalf where the donor is eligible for this.